It's a beautiful card. And congrats to Alexis! I don't have many ideas on my own but I love CASEing yours!! I LOVE the white textured paper you used! That is gorgeous. Good job on the graduation card- I have a Silhouette Cameo and need all the inspiration I can get for things!!! 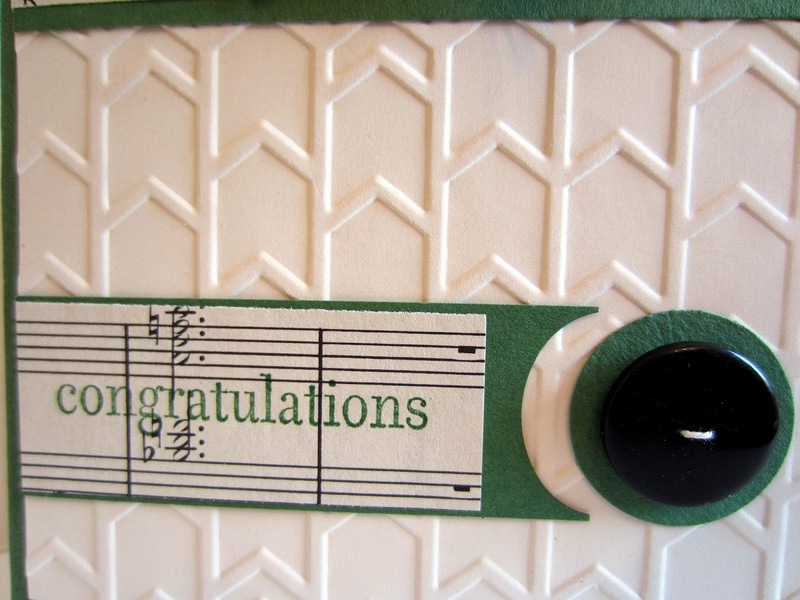 Thanks for sharing- I found your link on Elizabeth Joan Designs! I really like this card, Linda! I'm fond of Garden Green but don't think to use it very often myself. I'm eager to see if Garden Green plays nicely with Mossy Meadow! I rarely have a card planned out in my mind when I sit down to stamp. I usually know either which stamp set(s) I want to use -or- what colors -or- what layout I want to follow; but rarely a combination of these. I suppose I would be more efficient if I did plan better, but if I have a plan I tend to be more rigid -- which leaves less room for happy accidents! 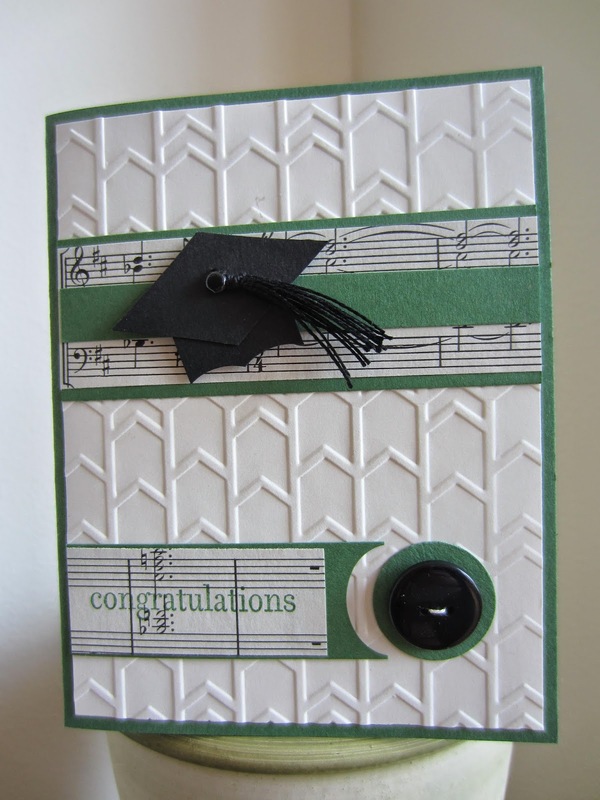 I'm out searching for something fun to make for my sister who is getting ready to graduate !This is real cute! I'm so proud of her! 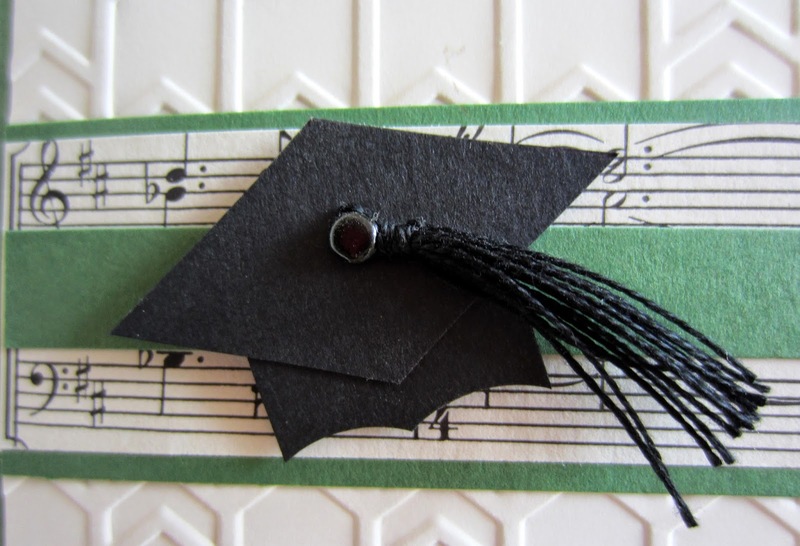 I love the graduation cap you created. It is perfect! Thanks again for linking up to The Creative Exchange. Thank you for your timely reminder that we all soon need to have a card ready! Love your design. Well done. Am inspired now to make one!